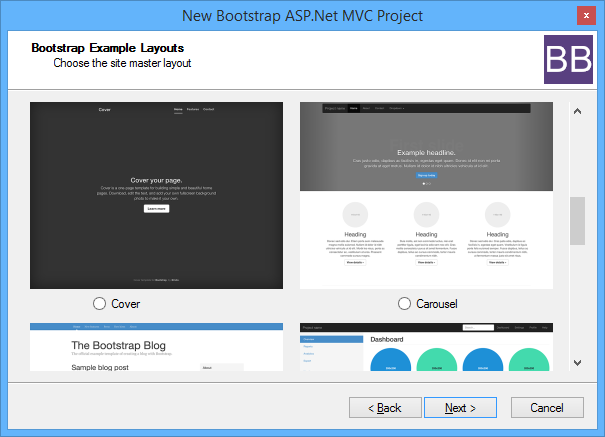 Bootstrap Bundle is a collection of item & project templates that makes it easy to create an ASP.Net MVC project based on free Bootstrap templates. You can go from File > New to a complete website in 15 seconds or less. 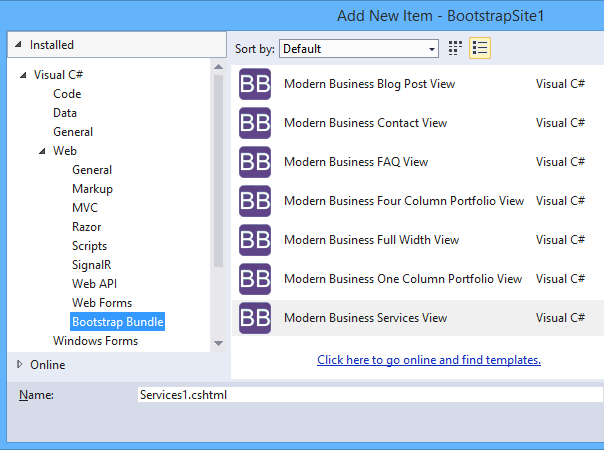 Bootstrap Bundle is the brainchild of Westhazen Developer Tools - a one man development shop. Bootstrap Bundle includes project template for all the Bootstrap example layout and for Start Bootstrap's Modern Business and Business Casual full website templates. Bootstrap Bundle is free to use. Download it from Visual Studio Gallery.